The tongue is certainly one of the more impressive parts of the body, but how much do you really know about it? Here’s a list of 10 amazing tongue facts about our misunderstood muscle that should add a new level of appreciation! 1. The longest human tongue ever recorded was 3.86 inches. The widest tongue measured 3.1 inches at its widest point. 2. Thomas Blackstone, credited with the world’s strongest tongue, once lifted a 24 lb 3 oz weight. That’s some serious tongue power! 3. There are five taste buds we currently know of; taste buds that detect bitterness, sourness, saltiness, sweetness and Umami, or savory receptors. Umami was originally discovered by a Japanese researcher in 1908. 5. Tongues are equally unique as fingerprints thanks to their highly varied number of taste buds and shapes. Fortunately, tongue-print entry phones and doors will probably never catch on! 6. 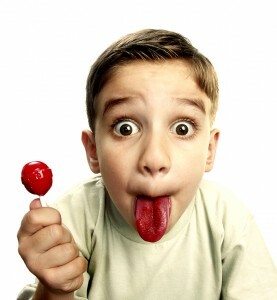 Our tongue’s taste buds function by reacting to chemicals dissolved in water. Ever notice how you always taste salt up front? Salt dissolves more rapidly in water than many chemicals. 7. The ability to roll your tongue is not a genetic trait after all. Studies show twins do not share this peculiar attribute. 8. Did you burn your tongue recently? Don’t sweat it – your tongue has the ability to heal faster than any other part of your body. 9. Your tongue never takes a night off the job. Even while you sleep it’s working to move excess saliva to the back of your mouth for easier swallowing. 10. Nearly half of the bacteria found on your mouth is located on your tongue, so it’s important to clean during every brushing! Your tongue is pretty amazing, make sure to give it the proper care it deserves! A healthy tongue is an essential part of good oral health.